Must use a brain to finish all levels. It’s easy to learn but very difficult to master. The job of each level is to guide a ball from a predetermined start point so that it touches all of the stars placed on the level. The ball and nearly all objects on the screen are affected by gravity. 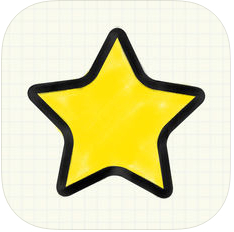 The first few levels are almost too easy, but as the difficulty increases, you’ll be thankful that you were able to practice the fundamentals of drawing. As the game progresses, you’ll have to use all sorts of theory to figure out a solution for each puzzle. – Hundreds of ways to solve each puzzle, can you find the best solution? – 200+ of physics puzzles, more levels are coming soon! – Flexible thinking is going to become the key to victory. – Solutions can be found at the end of each level. 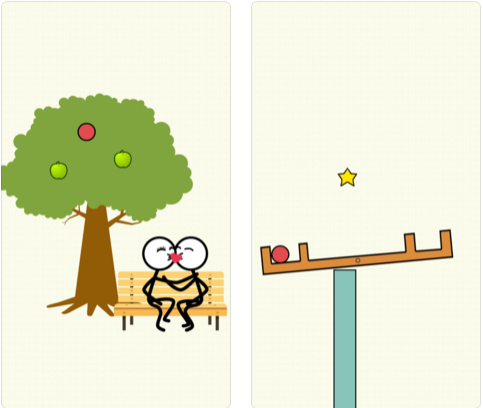 – Interesting physics puzzles, they’re not as easy as they look.